Journal Journey and Joy! : Our trip to Mexico starts on 28th May. Our trip to Mexico starts on 28th May. I'm going to fly to Mexico on 28th May with my girlfriend. We stay there, Belize and Guatemala for one month. I'm so excited to go Central America. It's my last trip in a few years. After the trip, I'm going to move to Kitami Tokyo from Saitama, and I will take a test and an interview to be a teacher in Tokyo. It was one of my dreams that as a writer, I've been to many countries especially to research referendums. Now I feel enough to do it. I will follow my another dream that to be a teacher. I had loved a rootless life like a traveller, but when I lived in Berlin I thought "That's enough". I don't know why I thought so. I really enjoyed Berlin life, for example, celebrating my friends' wedding, eating amazing vegetarian foods and taking a walk around Berlin. Other my friend gave me a job. I decided to have a girlfriend and put down roots somewhere after coming back to Japan. Anyway, I'm going to go to Mexico. Why do I choose mexico? Because from my childhood I saw Sombrero (big hat in Mexico) which was bought by my parents for the souvenir of their honeymoon in our house. Every time I saw it, I imagine Mexico. I think it was the only thing which I felt foreign country in our house. 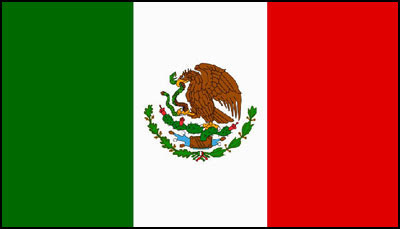 For that reason, I dream to go Mexico for a long time. I love Tacos and other Mexican foods too. I will watch Mexican music and dance. I will visit bright coloured houses and ancient remains and enjoy Tequila!! 28th May, We are arriving at Mexico city capital of Mexico, then going to go Teotihuacan remain, Guanajuato. 8th Jun, We are going to visit Aguascalientes where my friend lives. After that, we will visit Oaxaca to feel the day of the dead, then Guatemala and Belize. We leave to Japan 24th Jun.